During the last market collapse I developed a name for myself calling banking, tech and real estate company collapse. One of the premises of many of those calls were based upon balance sheet analysis (and common sense). Basically, after mark to market rules were suspended there was a big party since the underwater asset problem had been solved. Everyone just erased and penciled in a new value for said assets... and Voila! Banks are nudging certain hedge-fund clients to use derivatives instead of actual stocks when placing some bets, an effort aimed at lessening the impact of new capital rules on the banks’ businesses. The shift generally involves derivatives called total-return swaps that mimic the effects of owning a stock or other asset. In some instances, banks take less of a balance-sheet hit when they are hedging offsetting client positions targeting the same stock using total-return swaps than they would if the bets were made via securities. ... Banks generally benefit from the tactic when two clients are betting in opposite directions on the same stock, allowing the bank to offset the hedges it often needs to employ when facilitating such trades. In one example, if a bank has two hedge-fund clients who have opposing bets on IBM Corp., with one purchasing the stock in a bet it will rise and the other selling it short in a bet it will fall, the bank under certain circumstances may have to set aside additional capital to facilitate those trades. But if a bank has two clients using total-return swaps to take opposing bets on the same stock, it could offset the securities it has bought and sold as hedges against those positions so they don’t tie up additional capital. If the bank had to buy securities to hedge a single client swap, without the offset, the hedge would have gone on its balance sheet. Units of Bank of America Corp., Goldman Sachs Group Inc., J.P. Morgan Chase & Co.,Morgan Stanley and UBS AG are among those firms asking some of their clients to shift certain trades into total-return swaps instead of the underlying securities, people familiar with the efforts said. ..The downside for hedge funds is they could, in some cases, struggle to collect payments owed on a swap if their bank or other trading partner goes belly up. One hedge-fund executive said his multibillion-dollar firm was avoiding the derivatives and opting to own the actual securities instead in part due to that risk, which he became sensitive to during the financial crisis. Wall Street’s focus on swaps is the latest example of how banks’ prime-brokerage businesses, which execute and finance trades for hedge funds, are changing in light of stricter regulations designed to prevent a repeat of the 2008 financial crisis. A new slate of rules is raising capital and liquidity requirements for the biggest financial institutions, forcing them to reassess their businesses, shed certain assets and reject some customer activities, like accepting deposits. Some banks also have been jettisoning hedge-fund clients whose trading strategies they deem too costly to support. J.P. Morgan’s prime-brokerage operation is casting off many hundreds of smaller hedge funds in a move that threatens to further escalate trading and financing costs for managers. In the past two weeks, the bank has notified the “introducing brokers” it works with that it will no longer clear trades or offer financing to their hedge fund clients. The brokers — BTIG, Concept Capital, Conifer Financial, Convergex and arms of Jefferies and Wells Fargo — have 90-120 days to find new clearing banks for clients that had been using J.P. Morgan. 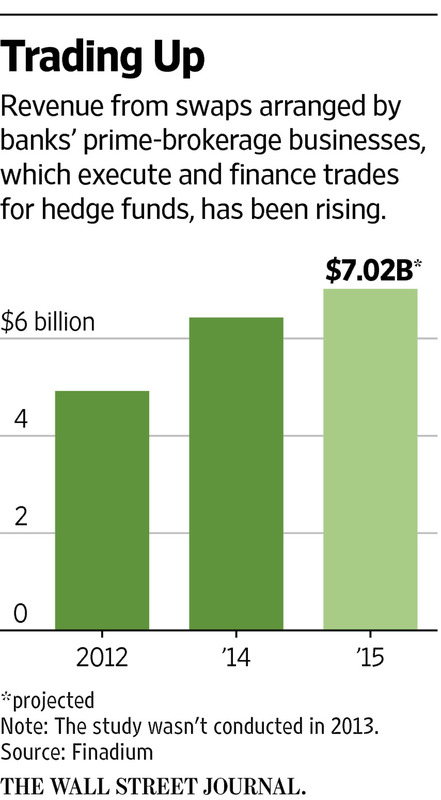 The move affects an estimated 800-1,200 hedge funds. With their balance sheets pressured by new regulatory-capital requirements, several Wall Street banks have taken steps in the past few years to cull smaller, less-profitable fund shops from the ranks of their prime-brokerage clients. But the abrupt retreat of J.P. Morgan from the “mini-prime” arena marks the first time a major prime broker has stopped working with introducing brokers altogether. Those firms serve as middlemen between smaller hedge funds and banks that offer clearing and financing services. Industry professionals said the move could have far-reaching consequences, potentially stranding the smallest managers and undermining the mini-prime business model. Some said they wouldn’t be surprised if other big banks followed suit — or if introducing brokers took steps to weed out their weaker accounts. Here's a thought. What happens if technology enables these funds to deal directly with each other and clear for themelves. This technology is available here and now. This the first time where Wall Street is challenged with technology that may be able to bypass the protections of excessive regulation. The Internet, as wondrously transformative as it was, did very little to increase the efficiencies of Wall Street as an industry, at least from the consumers perspective. Because Paradigm Shifts Wipe-out Legacy Players & Wall Street is Ripe for the Taking. It has the highest prices and the highest paid workers (on average) of all consumer facing indsustries - these prices and wages are going up! This is unsustainable. Why is it unsustainable? Because Wall Street is structurally incapable of handling the introduction of low cost product. Look, I'll prove it to you! Email me at reggie [at] veritaseum.com if you want to know more about what we're doing and what we're up to over at the lab.